When the Google Nexus 7 was launched, right away it got the nickname "Kindle Fire Killer" because of the similarly sized screen and (at least with the 8GB model) the same price. Add the expected launch of a 7 inch version of the Apple iPad and it is no surprise that Cowen analyst Kevin Kopelman has cut his forecast for Amazon's tablet. He now expects to see 12 million units of the Amazon Kindle Fire get sold this year, down from his original expectation of 14 million units sold. If you think that is small potatoes, the lost 2 million units would equal $400 million in sales that is slipping through Amazon's fingers. He figures that Amazon sold 4 million units in 2011 when the low-priced tablet launched in November of that year. Kopelman's reduced estimate not only takes into account the increased competition from the Google Nexus 7 and the mini Apple iPhone, but also Target's decision to remove the Kindle Fire from its stores. What might help the Amazon Kindle Fire is talk that a refreshed version is coming down the pike along with the possibility of a model with a 10 inch screen and possibly a version offering Wi-Fi connectivity. Out of all of the interesting product battles that might occur in 2012-2013, the possible three way low-priced tablet battle between the Google Nexus Fire, the Amazion Kindle-Fire and the mini Apple iPad could be among the most intriguing. 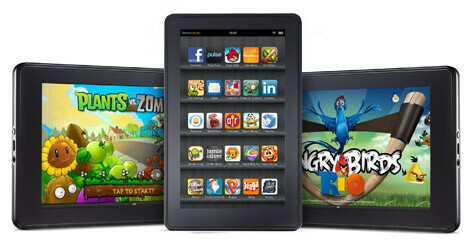 It looks like the glory days of the Amazon Kindle Fire might have been cut short prematurely by the competition. There's no mini-iPad. Why base a forecast on a fictional product? I would just like to say Dark Knight Rises! Amazone will sell 12M of Kindle fire? In this case Kindle fire must be very cheap or much better than N7 or both which I think is impossible. JB is much better than iOS6, Google Now and Voice Search is way better than what iOS has to offer. Those features will be the main selling point for JB, and Kindle Fire will not have that even when they fork JB. Google Play is getting better, user can have Amazone on their N7 easily too. And you say about advertizing here, do you know who is the the giant in the field? if microsoft will also join the low end tablet amazon will be in great danger! they dont have an OS of its own! 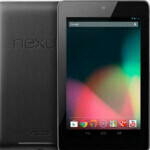 apple's mini ipad(if ever they make one) has an iOS, google's nexus as its android, and microsoft has its windows! im thinking, the ipad mini will be irrelevant because the iPad 2 cost almost the same as the 7 inch tablets! but if apple wants a market on that part too... well another healthy competition! and we are the one benefiting from it!